Low 11.99% p.a. variable purchase rate and cash advance rate. Variable Instalments rate of 9.99% p.a. Minimum credit limit of $1,000. No foreign transaction fees if you deposit $1,000 a month and make 5+ card purchases each month. 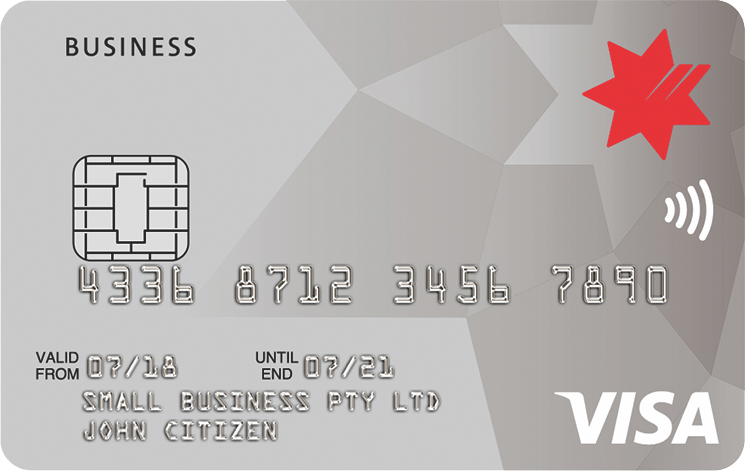 Free replacement card fee, whether you are in Australia or overseas. An additional cardholder fee of $10 p.a. ING Direct may not be the first bank that springs into the minds of Australians when they are looking for a down-to-earth, low-cost credit card, but the ING Direct Orange One Credit Card could be a good fit for anyone looking for the special combination of features unique to this card. Those special features include a low ongoing interest rate on purchases, an even lower interest rate if you are prepared to commit to repaying by instalments, no annual fee, plus easily manageable ways of avoiding both international transaction fees and all ATM fees. You can, of course, avoid paying interest altogether if you take full advantage of the 45-day interest-free period, avoid taking cash advances and repay your monthly closing balance in full on the due date. But the low ongoing interest rates may be the most attractive feature for anyone with a fluctuating income who cannot guarantee making full repayments every month. The low 11.99 percent p.a. interest rate (low, that is, for a credit card) applies to both purchases and, unusually, cash advances. (Some cards with a low interest on purchases still have a rate of 20 percent p.a. on more on cash advances.) Interest on cash advances is, as usual, payable from the date of the advance until it is repaid in full. For individual purchases over $250 it’s possible to pay interest at an even lower rate, as detailed in the section ‘Repay in instalments at a lower interest rate’, below. When travelling overseas or shopping online, it can be very annoying to have a credit card which adds as much as 3.5 percent to the transaction cost because the merchant is located overseas. This charge may still apply even though an international online merchant has billed you in Australian dollars. So it’s a welcome concession to find a card like this which waives both its normal 2.5 percent overseas transaction fee, and those pesky ATM withdrawal fees, in any month where you completed at least five card purchases in the previous month as well as deposited at least $1,000 into your ING Orange Everyday account. You don’t have an Orange Everyday account? You’re going to need one. In order to apply for this card, you’ll need to have an Orange Everyday transaction bank account. So if you don’t already have one, you’ll need to apply for one when you apply for your card. That’s because the only way to make monthly card repayments is from an Orange Everyday account. Fortunately, there’s no account-keeping fee involved, standard account transactions like BPAY and EFT are all free, all ATM transactions are free, and you’ll earn interest on your account balance. The good news on fees doesn’t end with international transaction fees and ATM fees. There’s also no annual card fee to pay for the primary card, no over limit fee, and no card replacement or emergency replacement fee (even if you need a replacement delivered overseas). The only fees you really need to be aware of are the $10 annual fee for supplementary cards on your account, the $20 late payment fee and the 3 percent cash advance fee. Many credit card users pay off their monthly purchase balance on or before the due date, thus avoiding interest charges altogether. Cardholders unable to do this still have to make a minimum monthly repayments, typically an amount equivalent to 2 percent or 2.5 percent of the card account closing balance. However, the ING Orange One Credit Card is quite different. You will need to repay at least 5 percent of the closing balance each month (more if you have an instalment plan – see below). If the closing balance is less than $2,000, you will be required to pay at least $100. If the closing balance is less than $100, you will need to repay it in full. This may seem harsh, but it does make perfect sense. Setting the repayment bar this high is a way of reducing the likelihood that cardholders will get themselves into a level of debt that they will spend years, if not decades, repaying. And the blow is softened by the instalment repayment option for large purchases. Here’s another very unusual feature for a credit card. If you spend $250 or more on a single purchase (airfares, for example, or a new TV), you can opt to repay the amount in instalments and pay a much lower interest rate of 9.99 percent p.a. Your normal options would be either paying it all off by the first due date (thus avoiding interest altogether) or leaving the major purchase amount in your total unpaid balance (repaying at least 5 percent of the amount each month, and paying interest at 11.99 percent p.a. on the remainder). If you can’t afford to repay the whole amount immediately, the instalment plan is a much better proposition than paying it off at 5 percent per month over 20 months, with interest charged at the full rate. You can have up to ten instalment plans (e.g. a TV starting in July, airfares starting in November, a computer starting in February the following year, and so on up to a maximum of ten items at any one time). You can also choose the repayment term (anything from three months to seven years). Your monthly repayment for each instalment will be the total amount divided by the number of months in the term. i.e. if you choose to repay a refrigerator purchase of $900 over 15 months, the monthly repayments would be $60 + 9.99 percent p.a. interest. Any amounts included in instalment plans are not counted in the 5 percent minimum monthly repayment calculation. So if you had a purchase balance of $7,000, of which $4,500 was covered by instalment plans, your minimum monthly repayment would be $125 (5 percent of $7,000 less $4,500) plus any instalments due for payment. The total amount owing at any time cannot, of course, exceed your credit limit. This instalment arrangement, at a very low interest rate for a credit card, is rather like having a permanently available revolving personal loan. You can use your credit card account with your compatible Apple smartphone and Apple Pay, for making contactless payments with your phone and using other digital wallet features. The card is not yet enabled for Google Pay, but ING say they’re working on it. To make managing your credit card account easier, you can set up auto repayments from your ING Orange One account, and also arrange to be notified about items like your account balance, remaining credit and payment due date. If you’re looking for a low interest rate card, you can compare this ING card with its competitors on the ‘Low interest credit cards’ page in our Features section. When comparing cards, watch out for the cash advance interest rate and international transaction and ATM fees. Also remember that you can reduce the interest rate to 9.99 percent p.a. for larger purchases. Few low interest cards can match this ING card on these particular points. Who will derive most benefit from the ING Orange One Credit Card? The low interest rate on purchases (and even lower rate for instalment repayments) will clearly benefit anyone not confident of making full repayments each month, while the matching low cash advance rate will also appeal to anyone who can’t avoid cash advances. It’s a true budget card, with most fees avoidable with a little effort – there’s no annual fee if you don’t need a supplementary card, those 5+ purchases each month don’t have to be large ones, and the $1,000 you need to deposit in an Orange One account each month could be covered by an automatic transfer of your wages.